It didn't take long for those Occupy Honolulu protestors to return. Just one day after the City evicted them from Thomas Square, protestors are back and they brought more belongings. Now, they're up against a new 24 hour deadline. We'll monitor this developing story on Sunrise. Big surf has rolled in for your Aloha Friday. 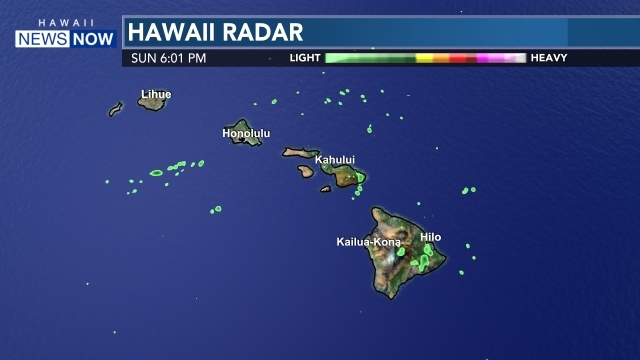 A high surf advisory is posted through 6 tonight for North and West facing shores of Oahu, Kauai, and Niihau and north shores of Maui and Molokai. Dan says we're seeing waves in the 10 to 16 foot range, 8 to 12 for West Oahu. Check out our surf report for the latest conditions. Fellow officers will hold a fundraiser on Monday night at Chai's Island Bistro to help the family of Officer Garret Davis cover funeral and travel costs. Davis' family wants to bury him in California and the police department does not cover those expenses. Go to the special event facebook page to learn more about the fundraiser. Indianapolis has rolled out the welcome mat for the Super Bowl, but what does it take to put on the big game? We'll chat live with Tracie Potts from the stadium and hear what Madonna has to say about her performance and the possibility of a wardrobe malfunction. Don't forget, you can catch the Giants and Patriots on KHNL this Sunday. Pre game coverage starts at 7 in the morning. We'll give away our final party pack for the big game. To enter, just go to our Hawaii News Now facebook page. Watch for your name just before 8 am. The malasadas. The Portugese Bean Soup, and oh yes, the rides. One of the highlights of the year for local families kicks off today. Get a sneak peek at the attractions for the Punahou Carnival live on Sunrise. Plus, do you dread circling the campus, searching for parking or can't find your car? There's an app for that and it's created by students. Hear from the brains behind this new app. WHO NABBED A ROLE ON HAWAII FIVE-O? We're thrilled that Hawaii Five-O has finally found the right role for entertainer Jimmy Borges. He tells us on his facebook page that he's shooting a nice part, and with one of his heroes. Borges played several parts on the original 5-0. Billy V will have more details. The Black Widows shook up our workout this week with a fun, but tough zumba toning class. Plus, we upped the ante in our battle of the sexes with the boys. That's coming up this morning at 7:10. Hope you can join us on an Aloha Friday!